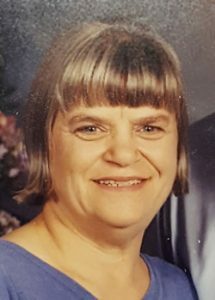 KILL DEVIL HILLS — Carol Robertson Bulluck, 73, of Kill Devil Hills, NC died Tuesday, March 12, 2019, at The Outer Banks Hospital. Born in Tampa, FL on October 12, 1945, she was the daughter of the late Frances Kennon and Victor F. Robertson. A member of Outer Banks Baptist Church and Gideons International, Carol was active in her church. She and her husband traveled the country performing gospel concerts. Carol is survived by her husband, Lelon R. Bulluck, Jr.; three children, Russ Bulluck, Rhonda Gupton, and Ruth Rountree; five grandchildren, Jeremy Gupton, Josh Gupton, Russell Bulluck, James Bulluck, and Victor Rountree; and two great-grandchildren, Whitley Gupton and Bristol Gupton. She is survived by two sisters, Sue Eaton and Sandra Lee Gamble and one brother, Vic Robertson. In addition to her parents, she was preceded in death by a sister, Jeanie Johnson. A funeral will be held at 11:00 am on Monday, March 18, 2019, at Twiford Colony Chapel with Rev. John Rowland officiating. The family will receive friends and relatives one hour prior to the service. A graveside committal will be held at 12:00 pm on Tuesday, March 19, 2019, at Rocky Mount Memorial Park. In lieu of flowers, memorial donations may be made to Outer Banks Baptist Church, 216 W. First St., Kill Devil Hills, NC 27948 or Gideons International, PO Box 97251, Washington, DC 20090.